The good folks at Air New Zealand love to have fun…even when it comes to safety. And their latest safety video features the movies that were filmed in New Zealand – in this case, The Hobbit, featuring The Shire, dwarves, elves, a wizard or two, and special appearances from several of the film series’ stars…check it out below! 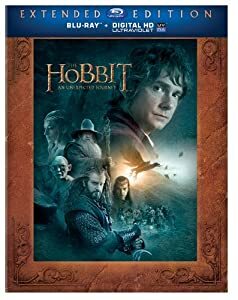 The extended edition of The Hobbit: The Desolation of Smaug is available for pre-order now…it is available in Blu-ray 3D/Blu-ray/Digital and Blu-ray/Digital versions – no U.S. DVD release has been announced yet. Amazon also has an exclusive gift pack featuring a special Weta figurine depicting the river barrel run…that is available in both the Blu-ray 3D/Blu-ray/Digital and Blu-ray/Digital editions as well! The extended edition adds 25 minutes of additional footage to the original feature, plus another 9 hours of bonus features! In a post on Facebook, Peter Jackson announced that they will re-title the third film of The Hobbit from There And Back Again to The Battle of the Five Armies. The former title was a reference to the name of the collection of Bilbo’s memoirs as collected in the Red Book of Westmarch, the “source” of the stories that J.R.R. Tolkien recounts in his Middle-earth books (the first movie’s title, An Unexpected Journey, is a similar reference.) When it was just two movies as originally planned, the title made more sense, but now with how the story is split, it was appears to make more sense to take on a name referring to a latter section of the book. The Oscar nominations are out, and there were some sure things (like Gravity) and surprising snubs (Saving Mr. Banks only getting Original Score and Tom Hanks completely shut out). And of course, other than Gravity (which had Oscar star power to start), it is perhaps not surprising to not see genre movies get much appreciation – even with the expanded 10 film Best Picture slate, The Hobbit: The Desolation of Smaug missed the cut. Catch the world premiere of The Hobbit: The Desolation of Smaug live here! The Hobbit: An Unexpected Journey is out on Blu-ray 3D, Blu-ray and DVD this Tuesday, November 5th…I’ve reviewed the theatrical edition already, so what’s so cool about this version? In a word: extras. In a few more words – over nine hours of additional material, not including the feature-length commentary by Peter Jackson and Phillipa Boyens.